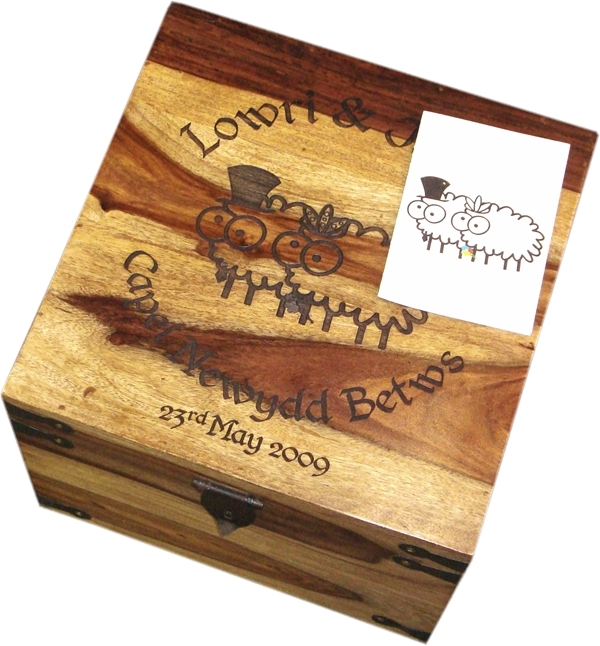 If you are looking for a box for that special occasion then why not select one of these beautiful bespoke boxes. 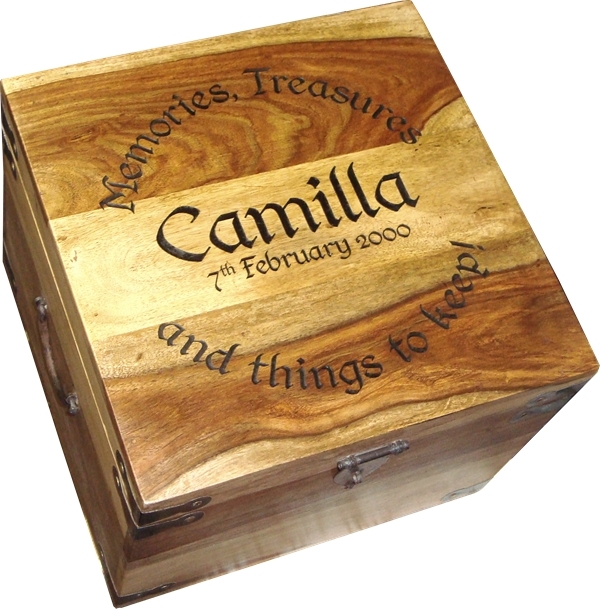 Each one is individually engraved to your specification. 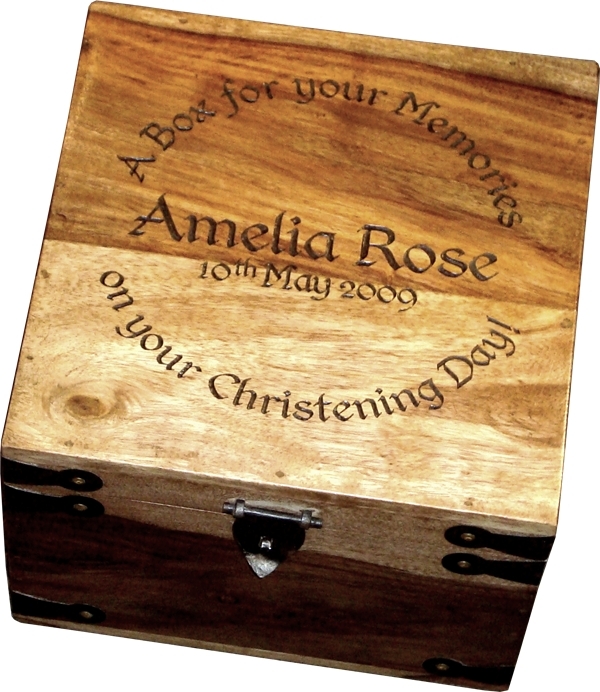 Have your wedding invitation logo engraved, choose from one of our designs, or create one of your own. 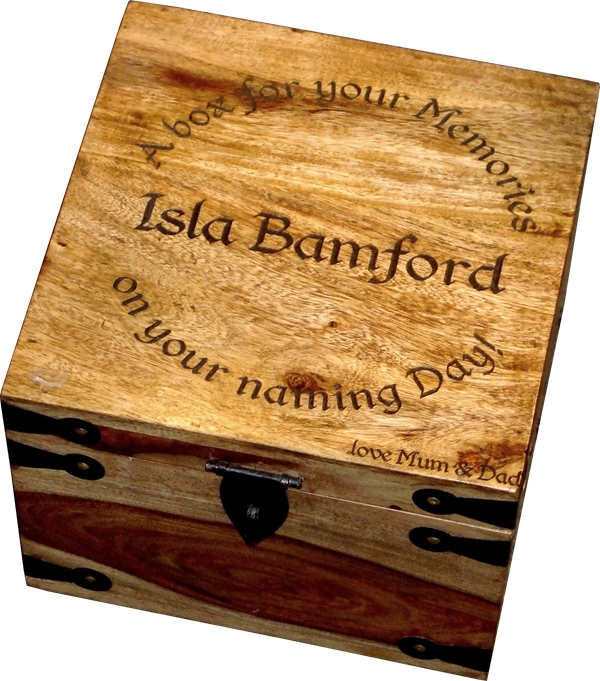 Just email or post a copy of any design that you want, or just have the text that you want engraved. This unique gift will not be one of those presents that are just thrown away, or never used! 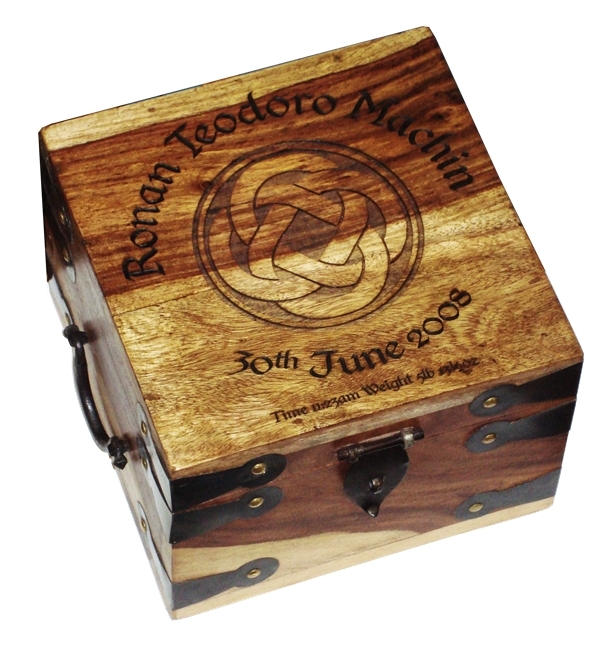 The wood the boxes is made from is shisham (Dalbergia sissoo) and is also known as Indian rosewood. The sap wood is pale and the heartwood a deep reddish brown. It is very hard and allows us to engrave with extraordinary precision.